It lasted well into the 70's or even 80's. 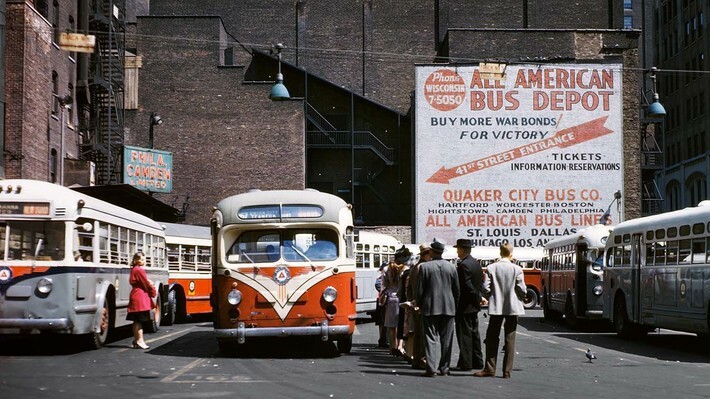 All American became American Buslines, which bought Burlington Trailways post WWII, and later was purchased by Continental Trailways. Quaker City Bus Co. was purchased by Safeway Trails, itself later purchased by Continental Trailways....funny, I didn't know Quaker City ran into New England...that was TNE, Trailways of New England territory.